Transitioning Your Wardrobe from Summer to Fall. Say hello to a fall essential that’s simple and that can easily be dressed up for a night out or down for an early morning coffee run. This edgy, moto-inspired faux-leather jacket adds a dose of cool to any look. 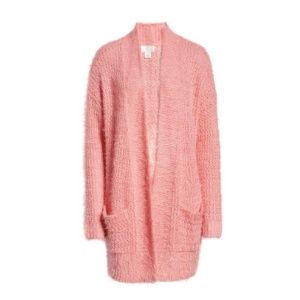 Another piece you’ll be oh-so thankful for when you’re getting dressed in a rush. I always like to have a good neutral and a go to pop of color for when the outfit needs a little something extra. You seriously cannot go wrong with booties when it comes to fall! Black, brown, tan, and if you’re adventurous - white! 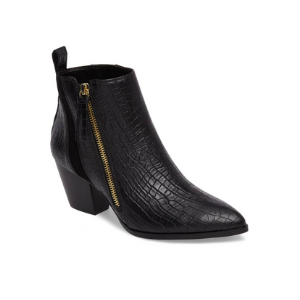 A great pair of ankle boots are a classic that will instantly take your outfit into fall, effortlessly! Accessorizing is probably the easiest way to make yourself into the Queen of Autumn. One of my favorite ways to do this is with a great bag. Coming away from bright colors and beachy textures like wicker and canvas will help. Thinking darker colors like black, plum, maroon, or even a light tan will give your look the perfect touch of fall without being too much of a statement. A Pair (or Two) of Tights. Take your favorite summer skirts into the next season by putting on tights under it! I wear most of my pieces year-round because of little tricks like this one. Stock up on affordable tights in different colors, textures and patterns that can be easily dressed up or down for an endlessly versatile look you'll want to rock every day. I know statement earrings can seem a bit scary for some, but know that there are so many options out there! You don’t always need a big, heavy dangle to make a statement. Find one with a fall color or a fun pattern you love that will spice up your everyday uniform of sweaters and jeans! Throwing a light cashmere sweater over an oversized top or on top of a summery dress will quickly turn a cute summer outfit into a creative one for fall. Remember, layers can take a boring outfit into an interesting one in a heartbeat! Get out of doing your hair while making your outfit 10 times trendier by throwing on a cute hat. 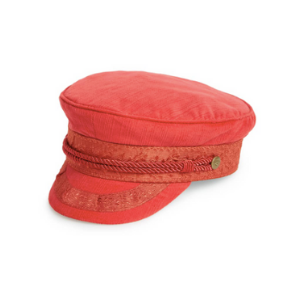 This corduroy cap adds a dash of borrowed-from-the-boys style to your #OOTD. As I’ve said before, layers will be your best friend while transitioning your wardrobe into fall! Scarves can be worn so many different ways, and can be an inexpensive way to warm up an outfit! Dark denim is classic, especially once temperatures drop. Even adding in a pair of black skinny jeans will help your summery prints transition better into fall! Top 5 Hikes in Kauai.